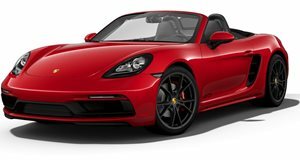 The Porsche Boxster has been around since 1997, which may sound hard to believe for those of us old enough to remember its debut. Currently in its fourth generation, which went on sale in 2016, the Boxster and its Cayman coupe sibling now have the ‘718’ designation added. Word has it Porsche will drop ‘Boxster’ and ‘Cayman’ for the upcoming fifth generation, thus giving its sports cars three-digit numerical names only. The next 718 coupe and roadster, however, may prove vital to its long-term future. Piston Heads has learned that Porsche plans to offer hybrid versions of the pair and that prototype testing is already underway. The current generation models’ platform is not able to accommodate the necessary hardware for electrification. Porsche hasn't confirmed exactly when the fifth-gen 718 will debut, but given that the current gen is already nearly four model years old and its technologies even older, chances are something will happen by 2023. Now, many may not be thrilled about a hybrid option but here’s why electrification is exactly what the 718 needs: the departure of the flat-six in place of turbo four engines for most non-GT4 and Spyder variants was not a big success. Owners miss the sound and power delivery the flat-six offered, hence the decision to launch another high-end trim with that engine. But upcoming fuel emissions laws won't allow that engine to stick around forever. An electric motor coupled with a turbo four can help ensure smoother and more linear power delivery. Advancements in fake augmented sound will also help. Piston Heads also has reason to believe Porsche will integrate an electric motor within the automatic gearbox which allows for power boosts associated with hybrid setups. What remains unclear, however, is whether a hybrid or plug-in hybrid setup will be chosen. An all-electric 718 is unlikely because it's not really necessary just yet. Porsche CEO Oliver Blume prefers hybrids for their ability to allow a technical layout "closer to the motorsport setup (Porsche) had in the 919 race car.” Imagine if Porsche utilized the lessons learned from its 919 program and applied them into a smaller mid-engined package. The flat-six’s departure would still be missed, but an electric boost would provide far more excitement than today’s bland turbo four.